Charter Flight Group, a private jet company with over thirty years of providing charter flights to Tampa, Florida continues to offer unrivaled private jet charter services to its clients. Flying only the latest and safest private aircraft available today, we furnish private charter flights to accommodate your individual needs — from small-capacity jets such as the Citation Mustang and the 6-passenger Beechjet 400 XP, to heavier jets like the 13-passenger Falcon 900 and King Air 350. Mid-sized jets are also available. Tampa Airport (TPA), the gateway to Florida’s beautiful Gulf coast has been operating commercial flights since 1971. Private jet charter flights to and from Tampa allow you the luxury of avoiding long security lines and crowded hub airports. With our charter flights, you will arrive at your destination faster, and without any hassles like lost baggage or cramped seating. It has won the Global Airport Efficiency Award several times, and today over 16 million travelers pass through its gates each year. We will schedule your jet travel through Tampa Airport 24/7, whether you need to charter a flight for business or for pleasure. The planes we use for charter flights not only meet the exacting Federal Aviation Administration’s (FAA) Part 135 standards, but also exceed them. The FAA Part 135 provides regulations for aircraft maintenance and operation, as well as licensing. 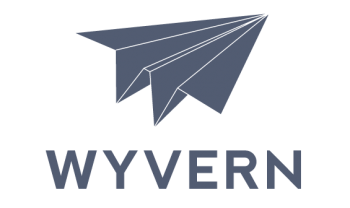 We use third-party safety inspection auditors through the Aircraft Research Group of the United States (ARGUS) and WYVERN. All of our global partners must also comply with the extra safety audits for every air flight charter, ensuring that your private aircraft will be the safest in the world. Located five miles west of downtown Tampa in Hillsborough County, Tampa Airport is considered one of America’s mid-sized airports, and one of the most well-liked. During Hurricane Katrina, airport staff assisted with medical evacuees who arrived there aboard a C-141 military transport, getting the injured triaged and to area hospitals and shelters. Tampa Airport is very popular with travelers because of its tram-connected spoked-wheel design, which allows travelers to reach their gates easily and on time, without running or panicking. Businesses and individuals can schedule Tampa jet charter flights through Charter Flight Group 24-hours a day, with only a few hours notice. Clients who hire private jet flights to and from Tampa have easy access to some of Florida’s and the world’s biggest businesses as well as to beautiful beaches and attractions. Unknown to some, Tampa has an interesting war history. Residents took part in the Civil War there, and it was where Theodore Roosevelt and his Rough Riders met up before sailing to Cuba during the Spanish American War in 1898. Today, the MacDill Air Force Base (where United States Central Command is based) calls Tampa home. 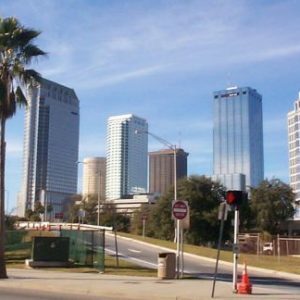 Businesses hire private jet flights to Tampa in order to attend conferences, conventions and meetings. Just steps from arrival gates, is the Tampa Airport Marriott, located inside the airport. Newly renovated, it has 18,000 sq. ft. of conference space with 16 meeting rooms, high-tech AV equipment and videoconferencing services, a ballroom and on-site catering. Many clients on air charter flights to Tampa conduct business in the Tampa Bay area with multi-billion dollar companies including Roger Industries, Gerdau Ameristeel, TECO Energy, Jabil Circuit, Wellcare Health Plans, Raymond James Financial, HSN, Inc., and Tech Data Corporation. Clients on vacation who charter luxury flights to Tampa, have a plethora of attractions and destinations from which to choose. Follow I-275N and you’ll arrive at Busch Gardens in less than a half hour. St. Petersburg, only twenty-three miles away is home to the Salvador Dali Museum, Fort De Soto Park, the St. Petersburg Pier, and beautiful beaches. Disney World, Epcot, Universal Studios, and the Harry Potter Theme Park are all eighty-four miles northeast of Tampa in Orlando. Traveling down U.S. highway 93S and 18S or Interstate 75S, you’ll reach the gorgeous shores of Apollo Beach, Bradenton Beach, Sarasota and Fort Morgan. 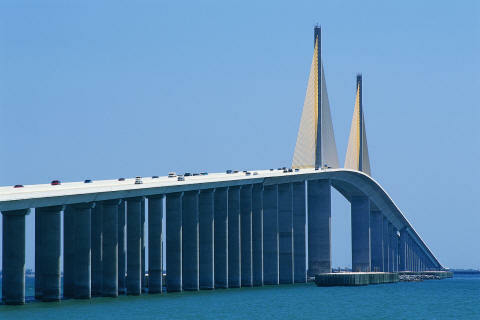 Why Choose Charter Flight Group for Your Private Charter to Tampa? As a renowned private jet broker, Charter Flight Group will assist you in securing a private charter flight to Tampa or to thousands of other places worldwide. We will identify your requirements and choose the best private charter jets for your needs. You may want a business air charter for company business, or you may want the pleasure of a luxury private jet flight for a vacation. We assure you that we have the best private jet services in the world, piloted by experienced professionals and maintained by certified staff. You can rely on us for comfortable, luxurious and safe private air travel.